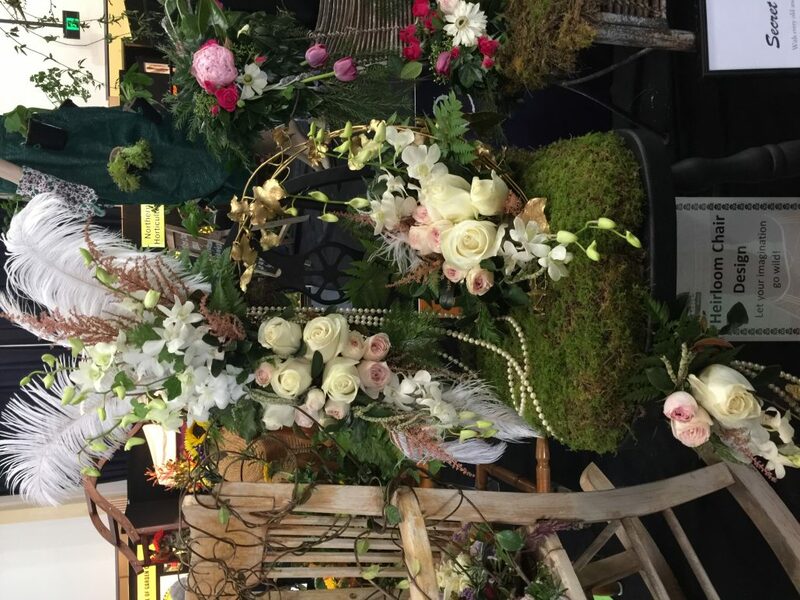 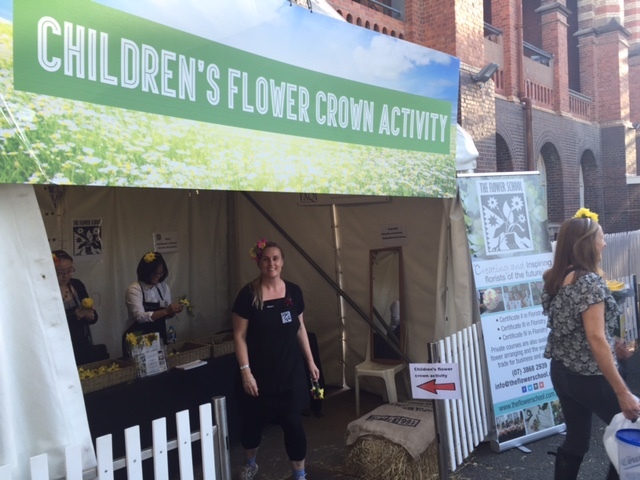 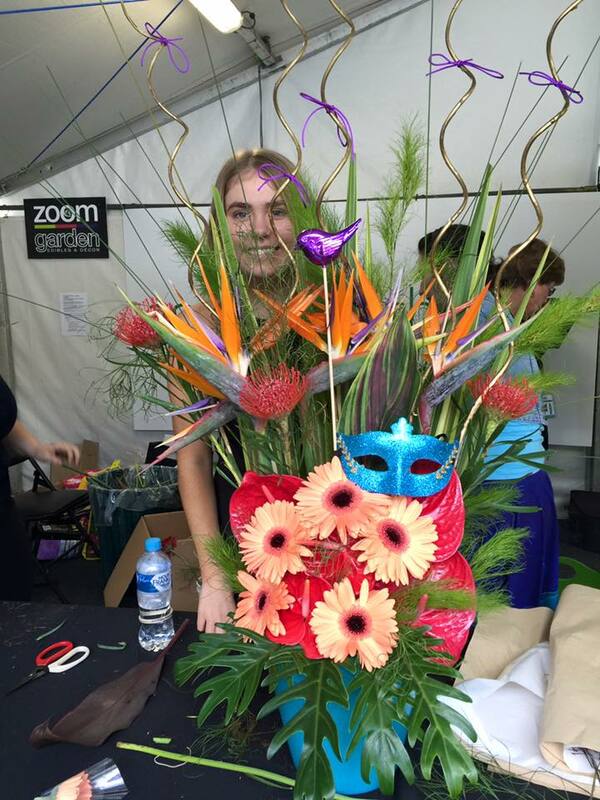 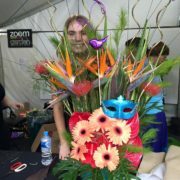 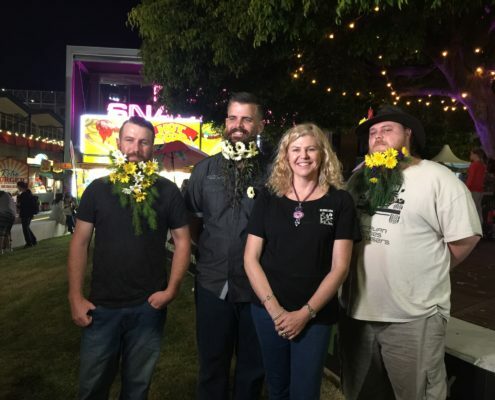 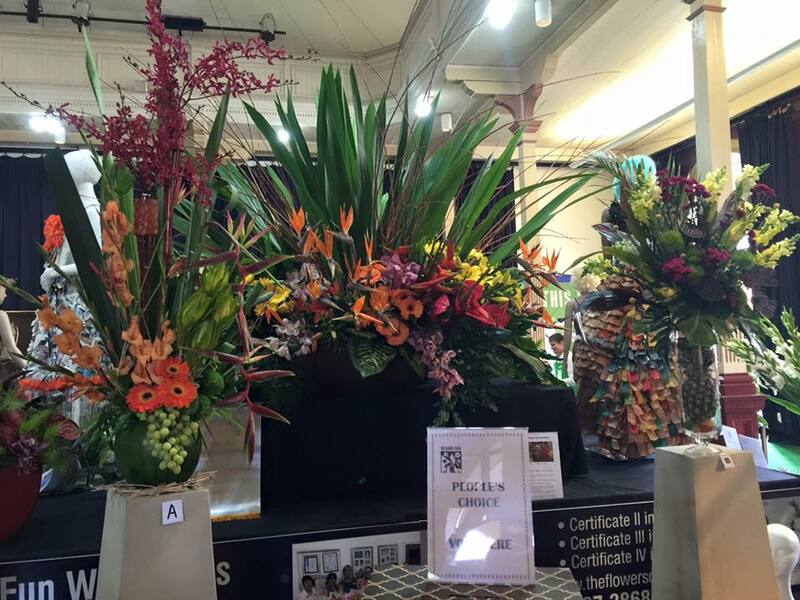 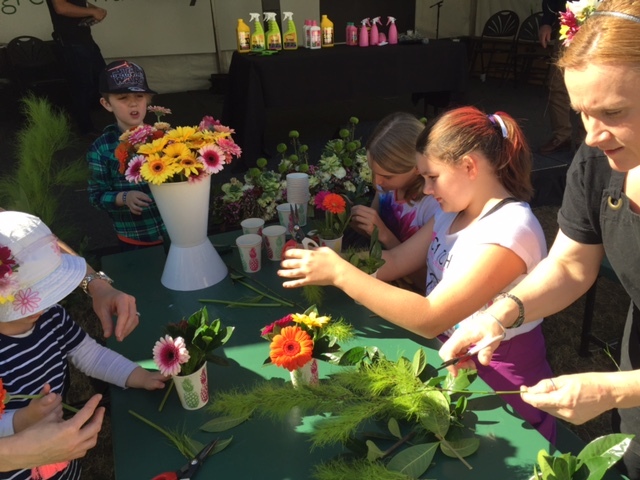 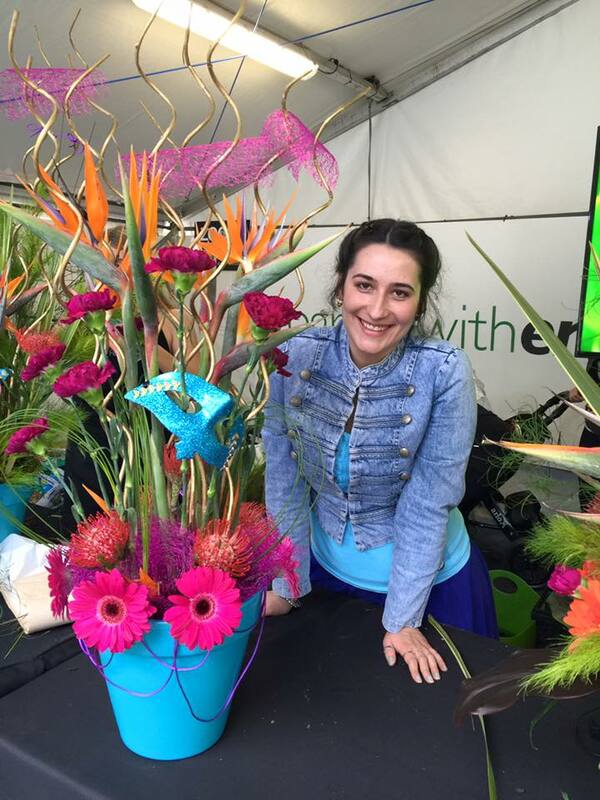 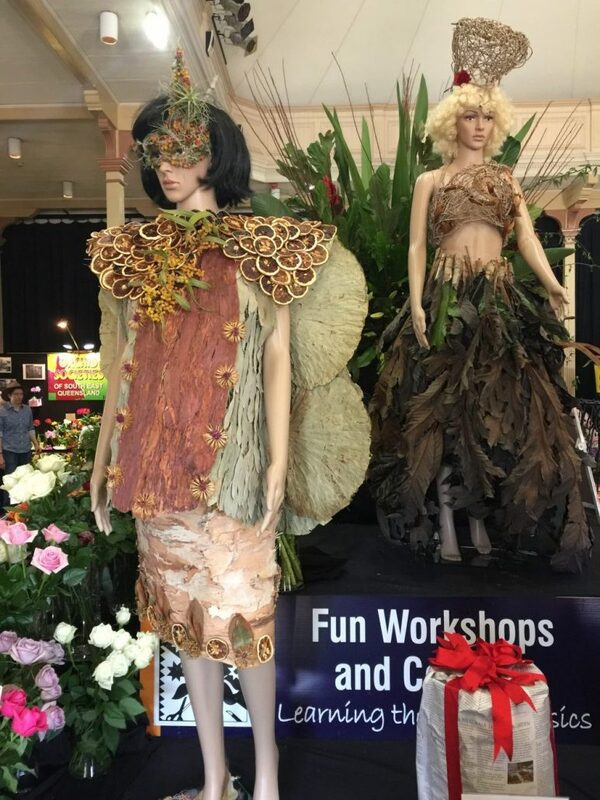 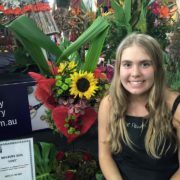 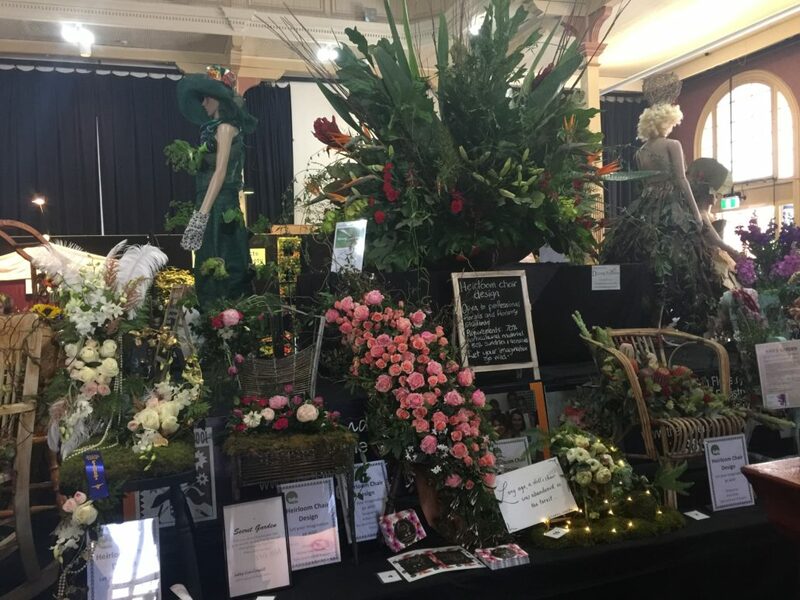 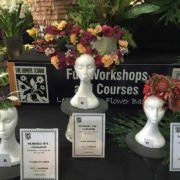 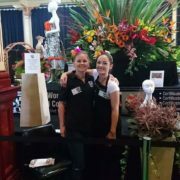 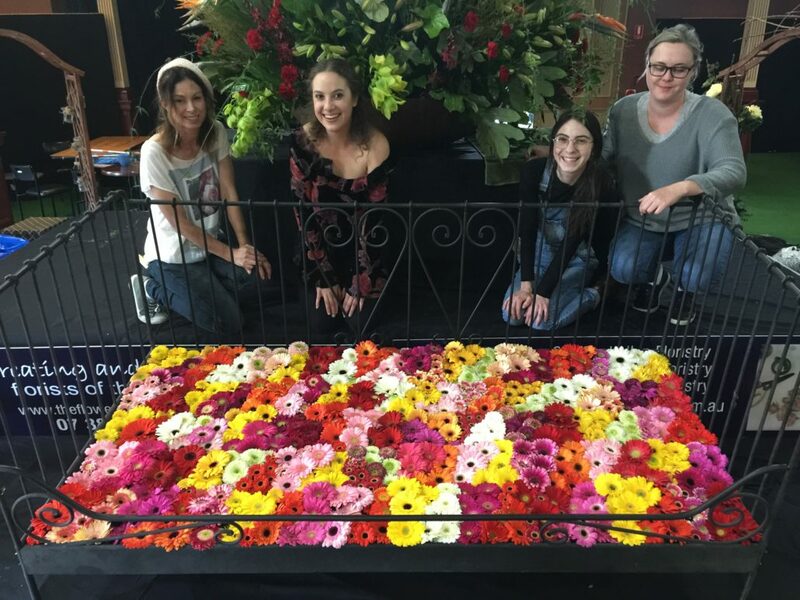 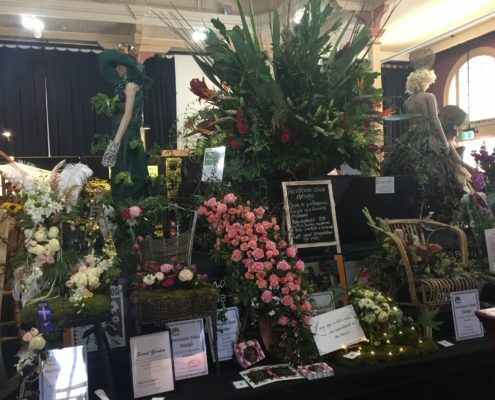 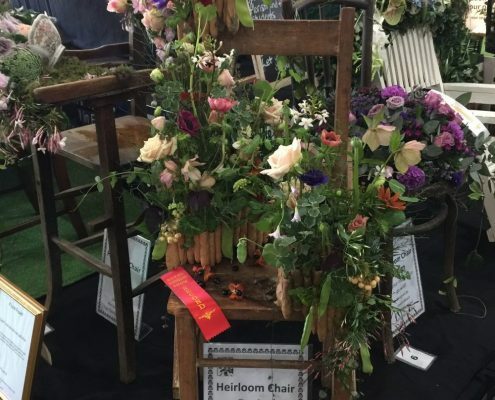 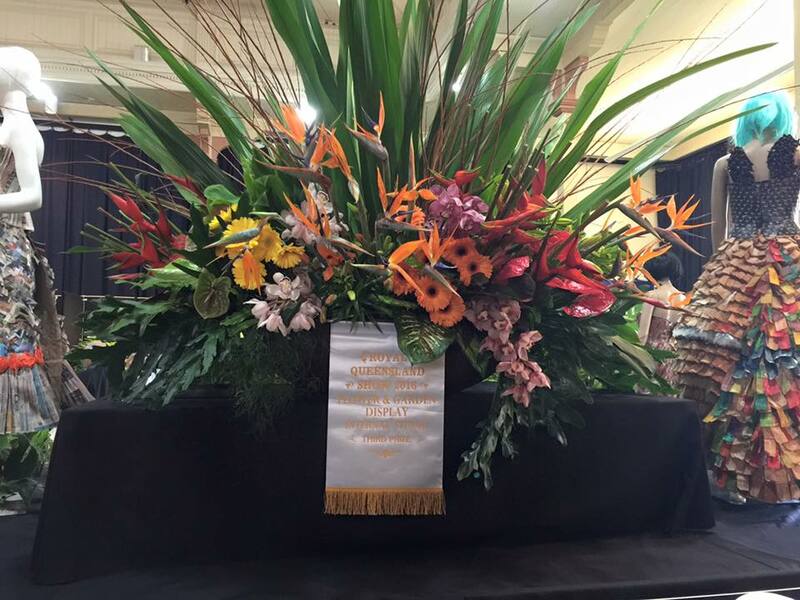 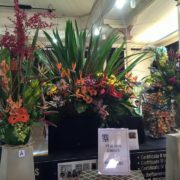 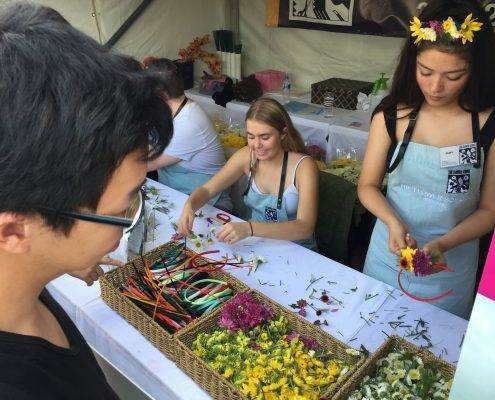 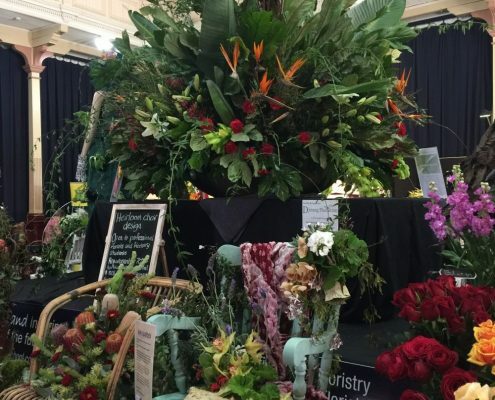 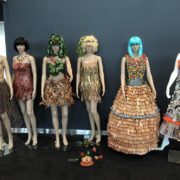 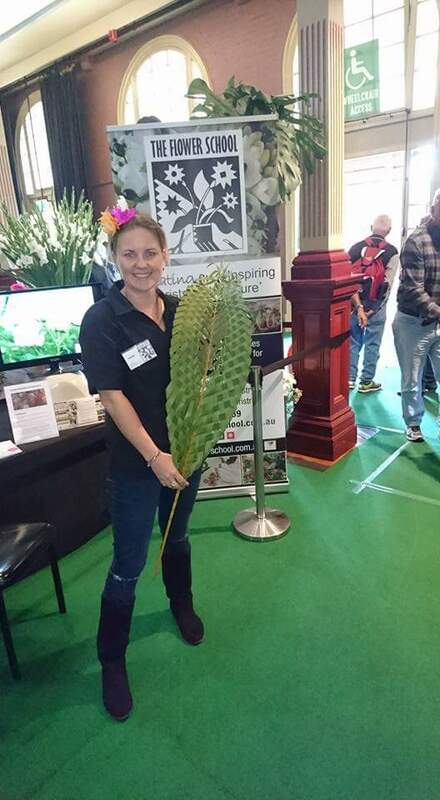 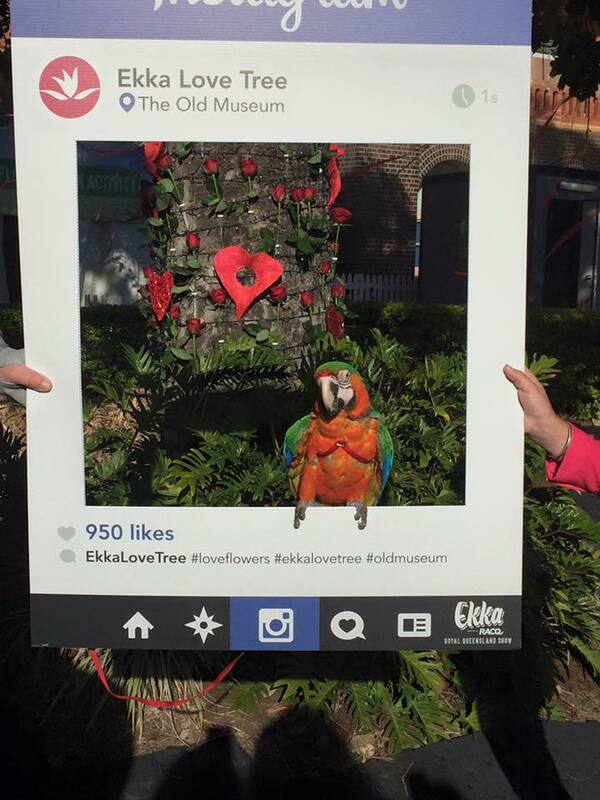 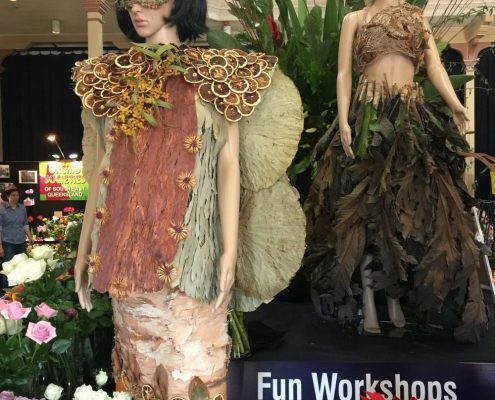 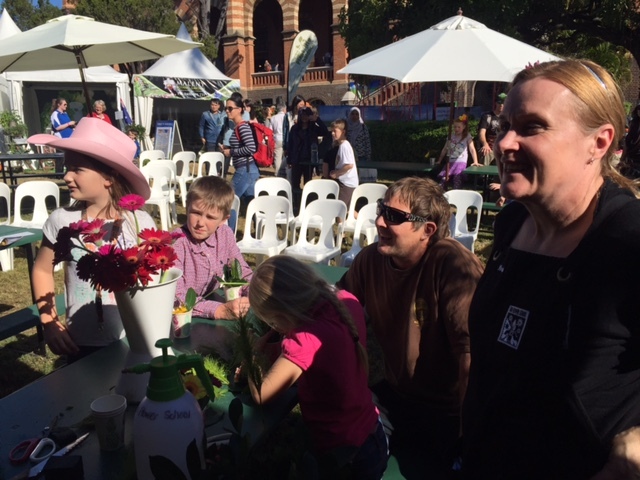 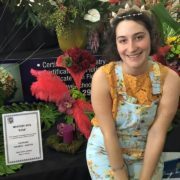 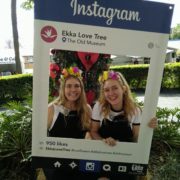 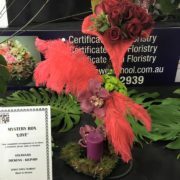 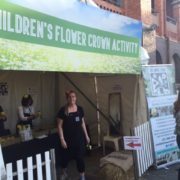 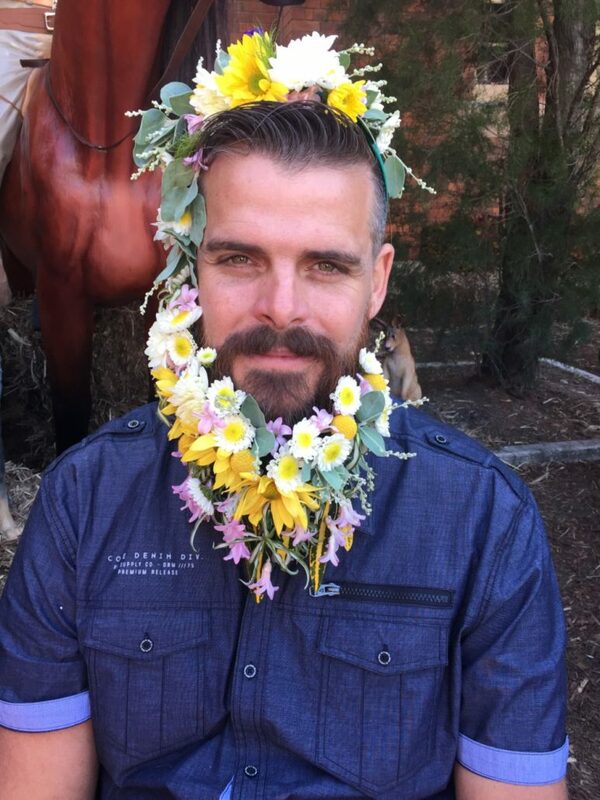 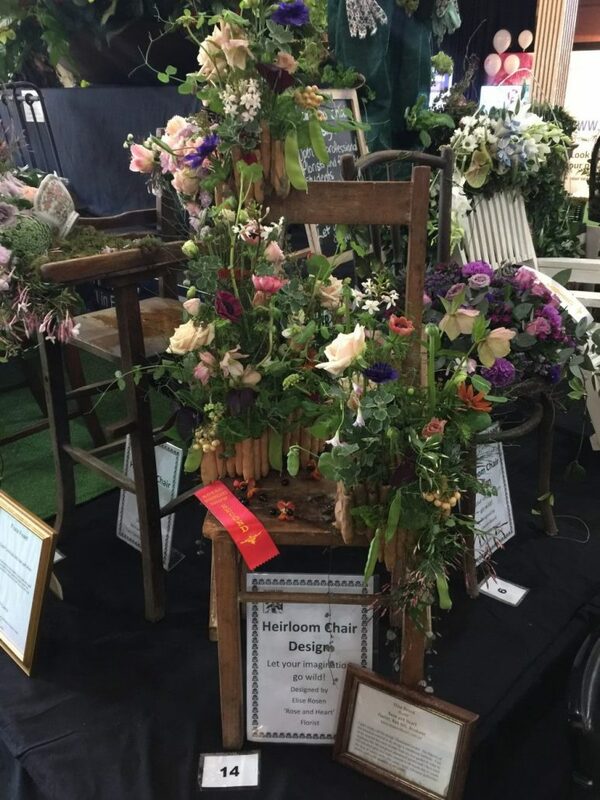 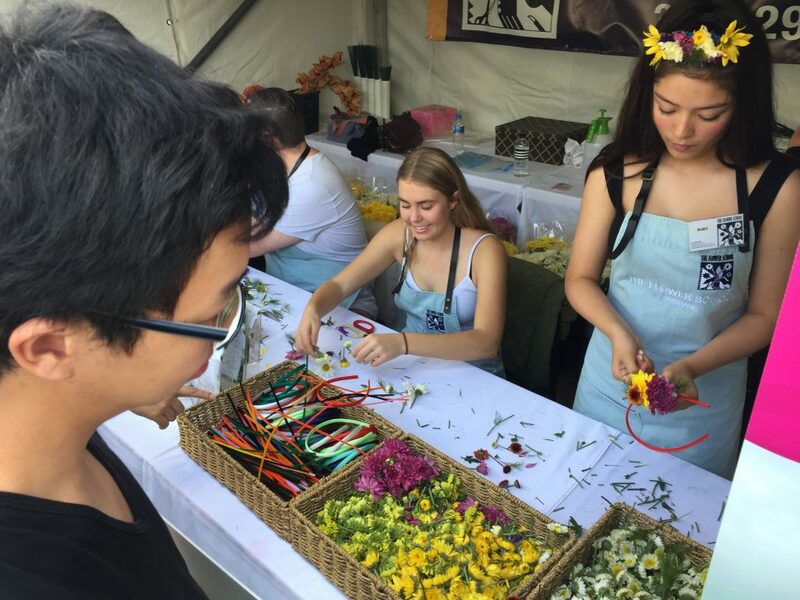 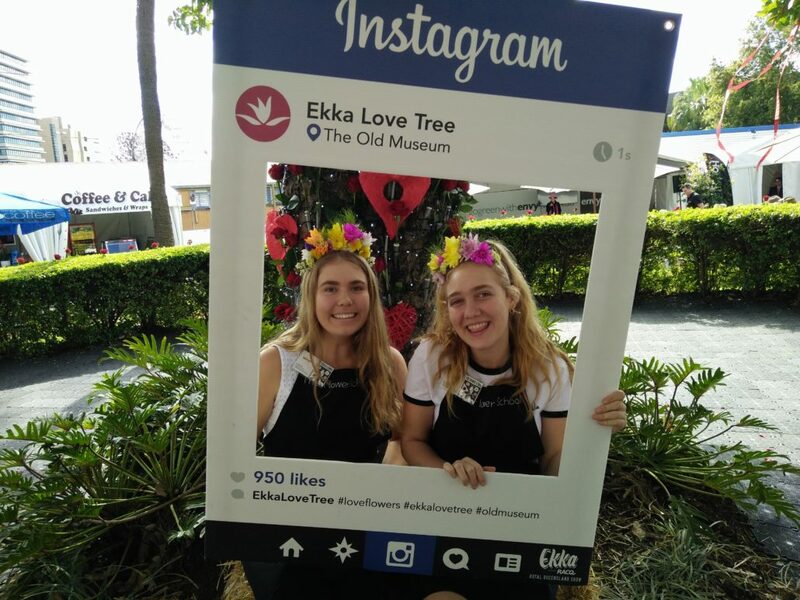 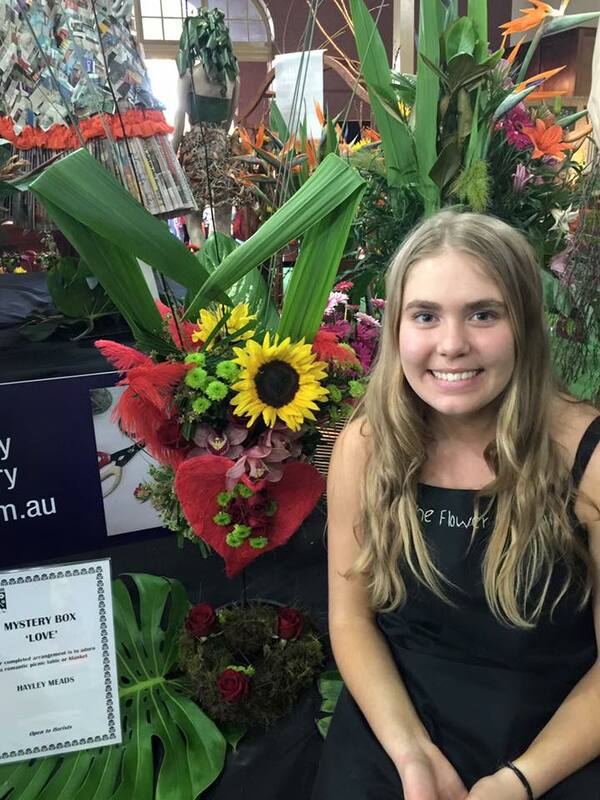 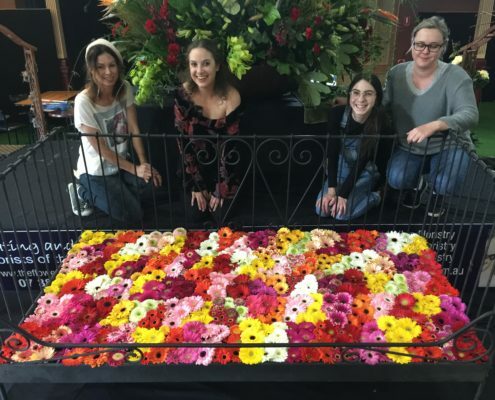 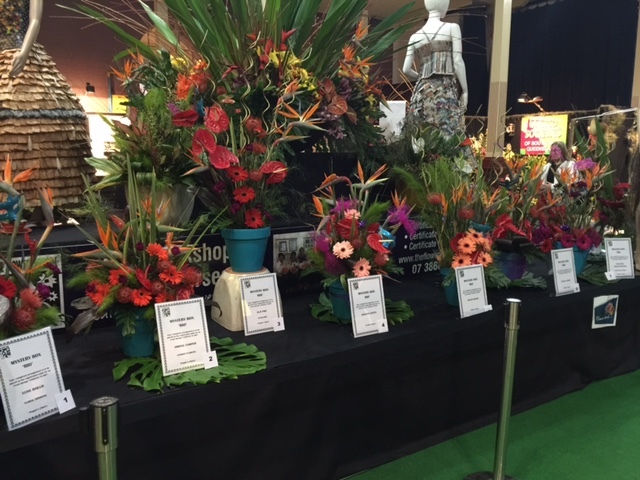 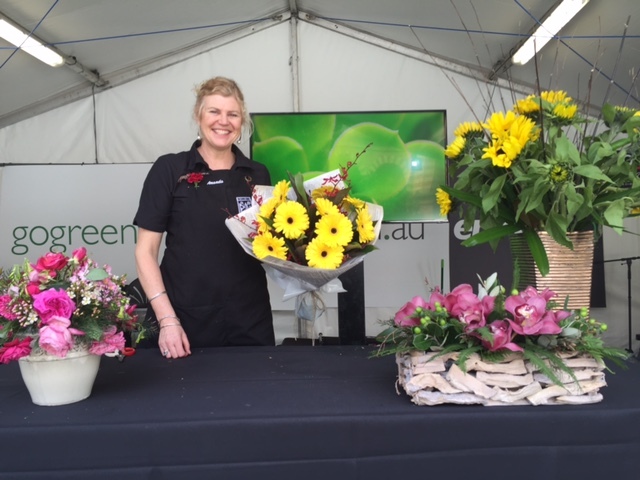 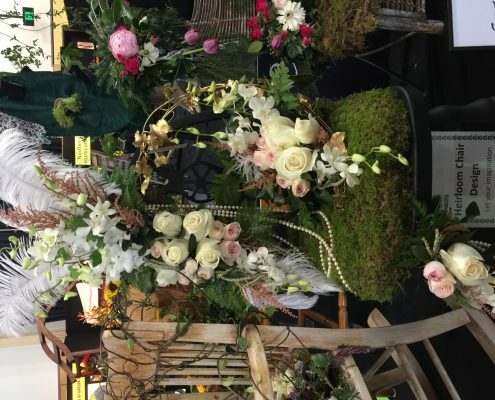 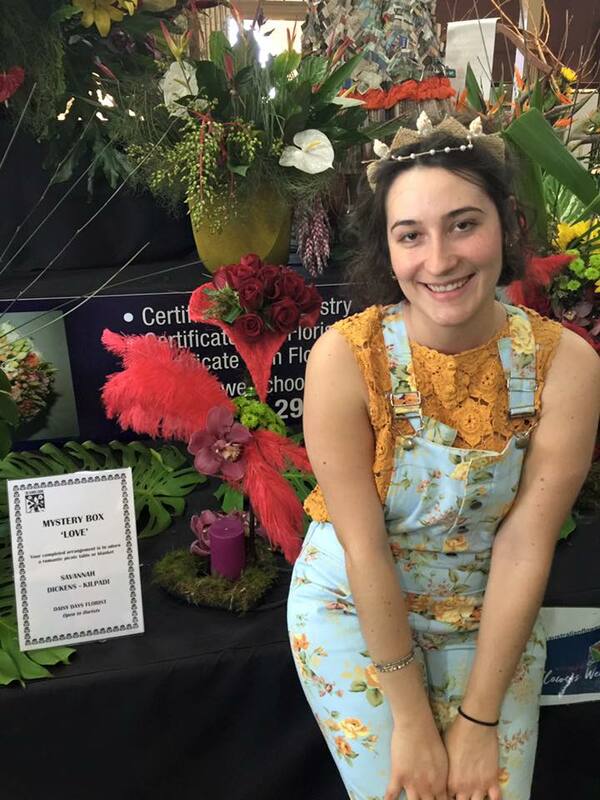 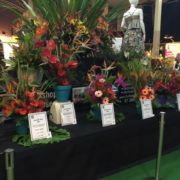 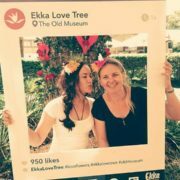 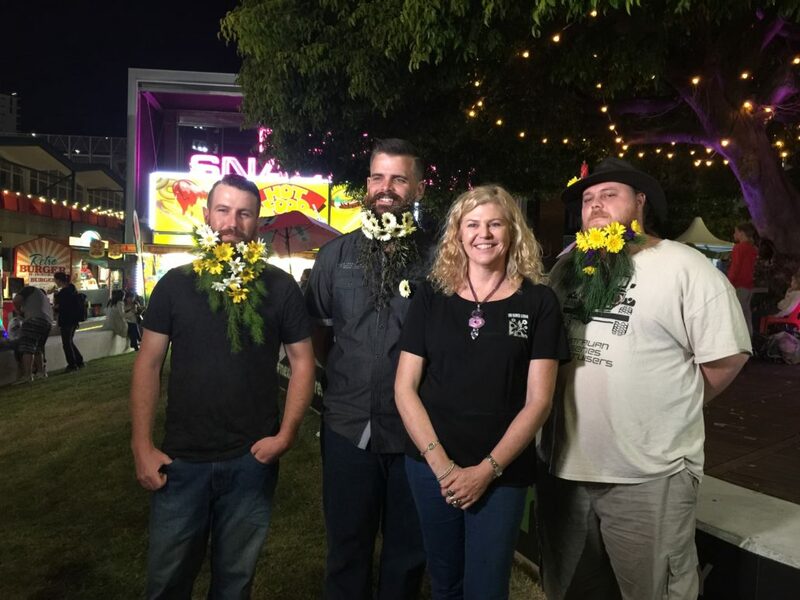 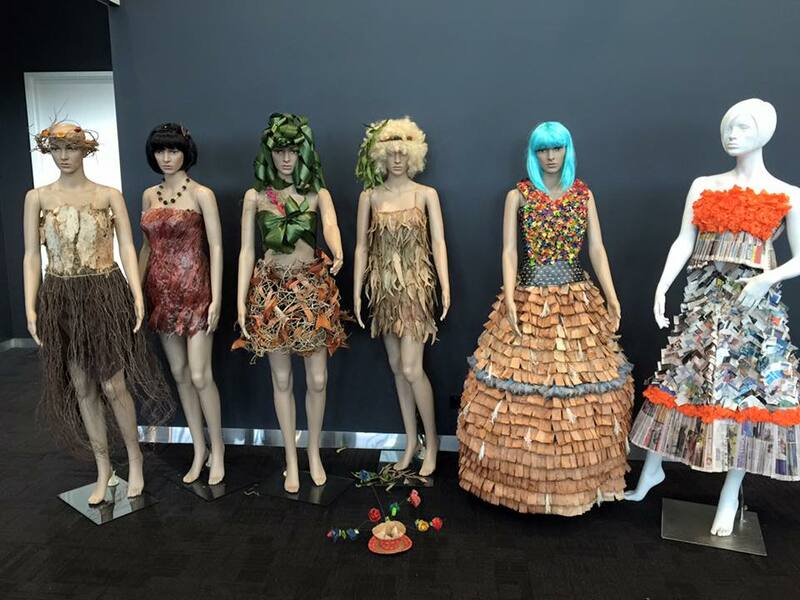 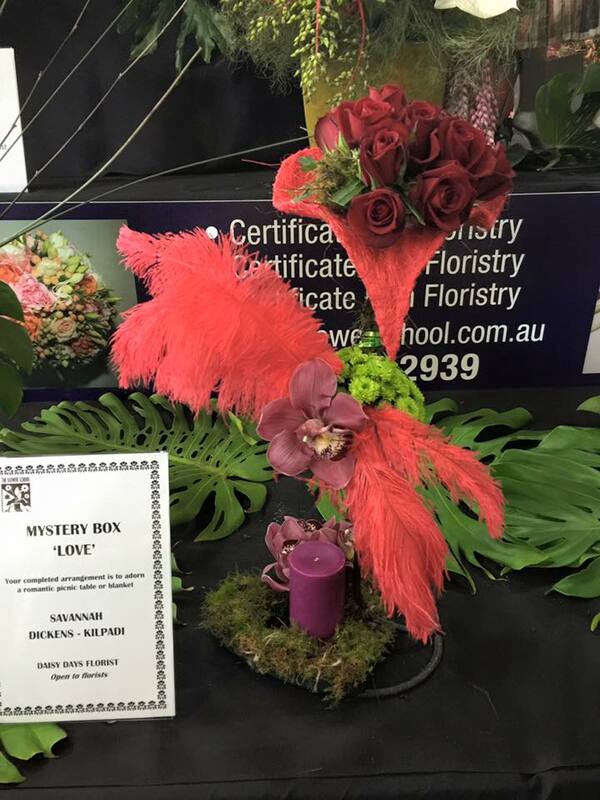 Once again The Flower School celebrated a fantastic 10 days of floral competitions at ‘Ekka’ within the new Flower and Garden Exhibition hosted in the old museum precinct. 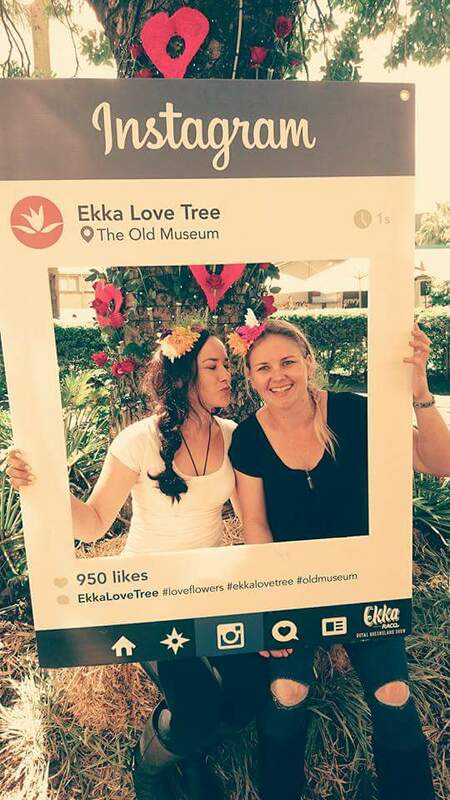 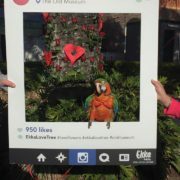 This year the museum celebrated 140 years. 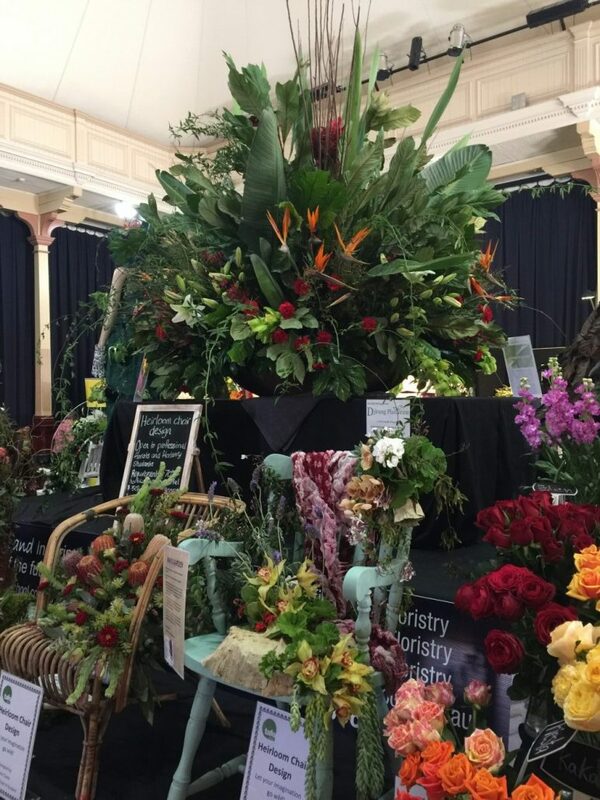 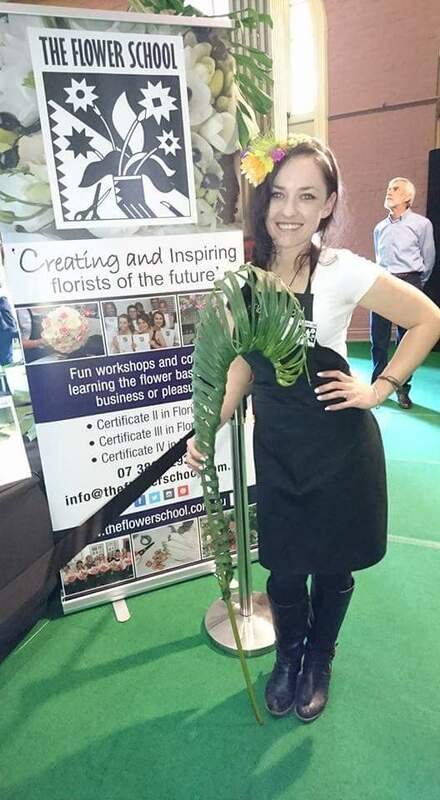 The competitions were hosted by The Flower School and were open to professional florists and floristry students studying Certificate II, III and IV in Floristry. 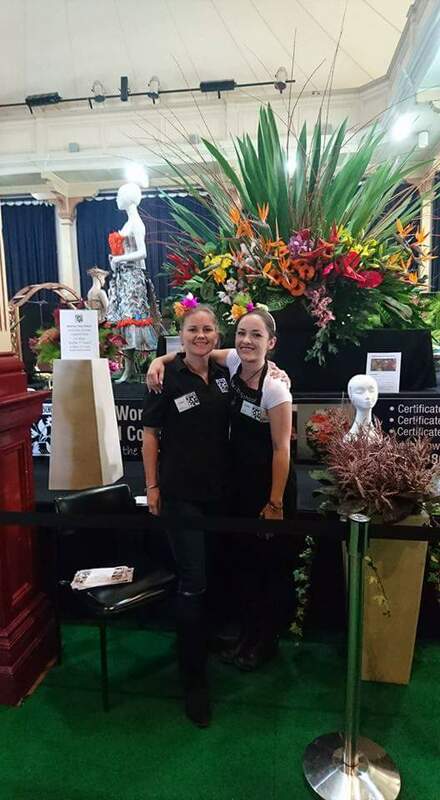 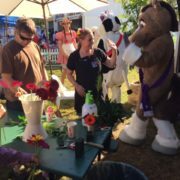 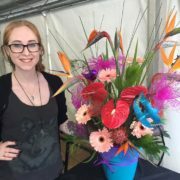 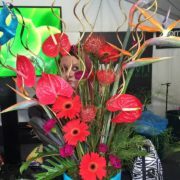 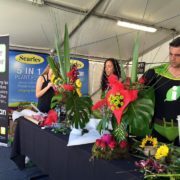 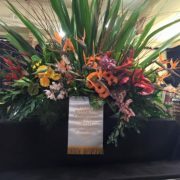 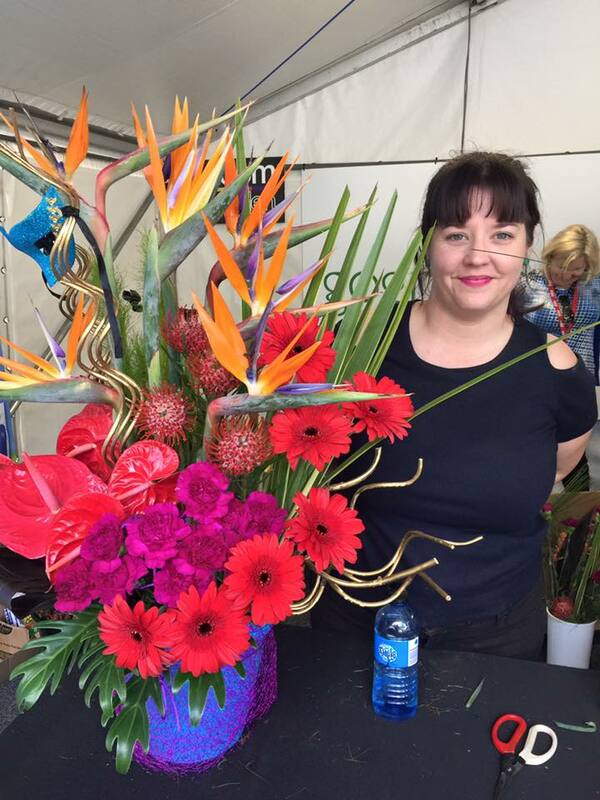 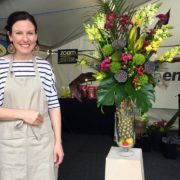 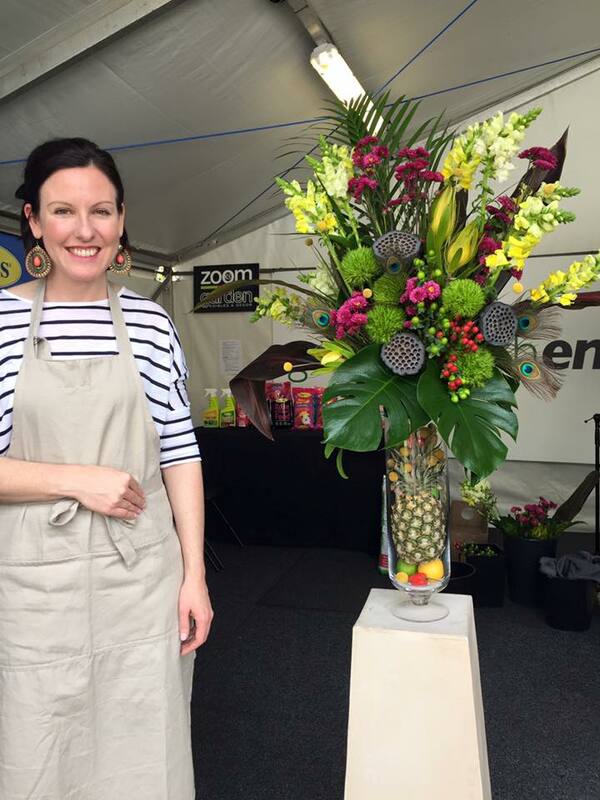 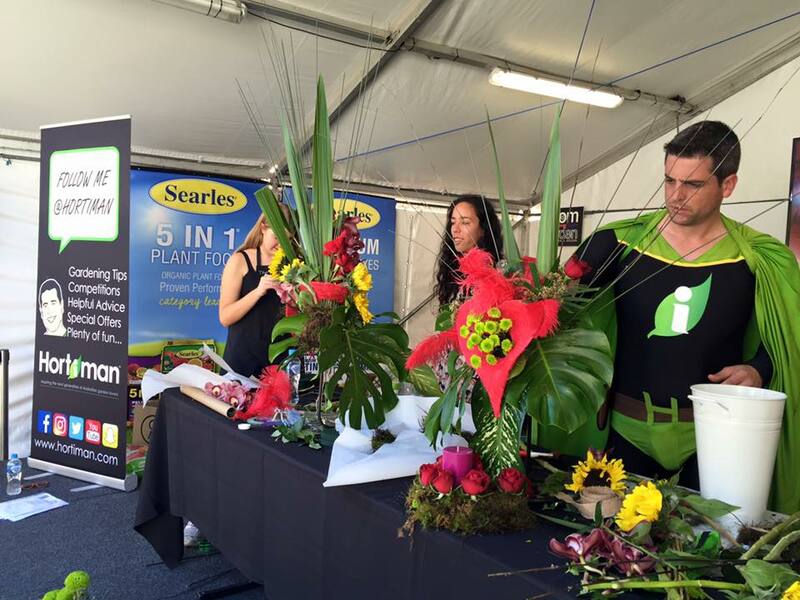 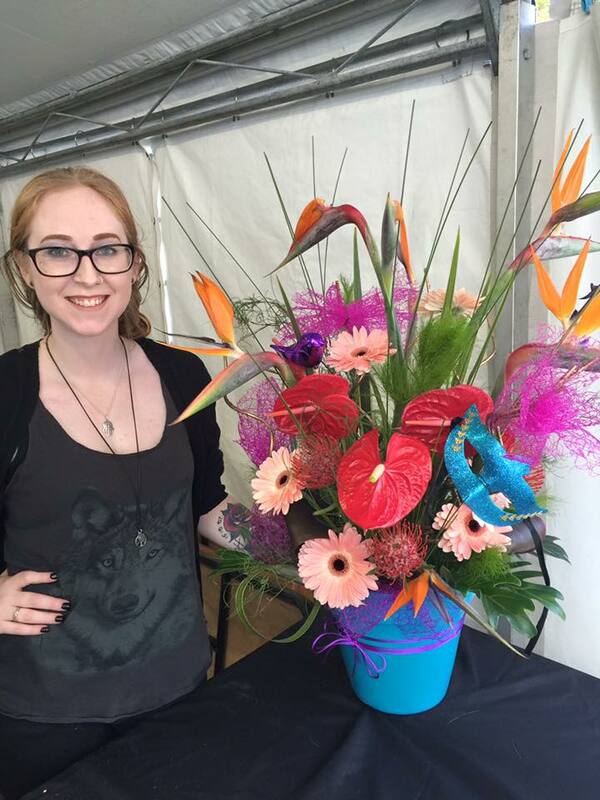 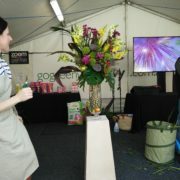 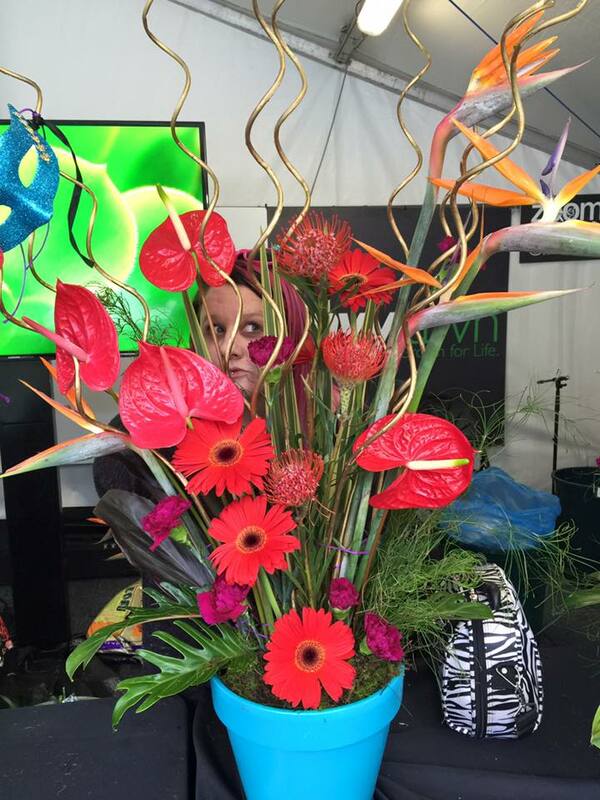 A record number of 35 professional florists competed within the 5 competitions held. 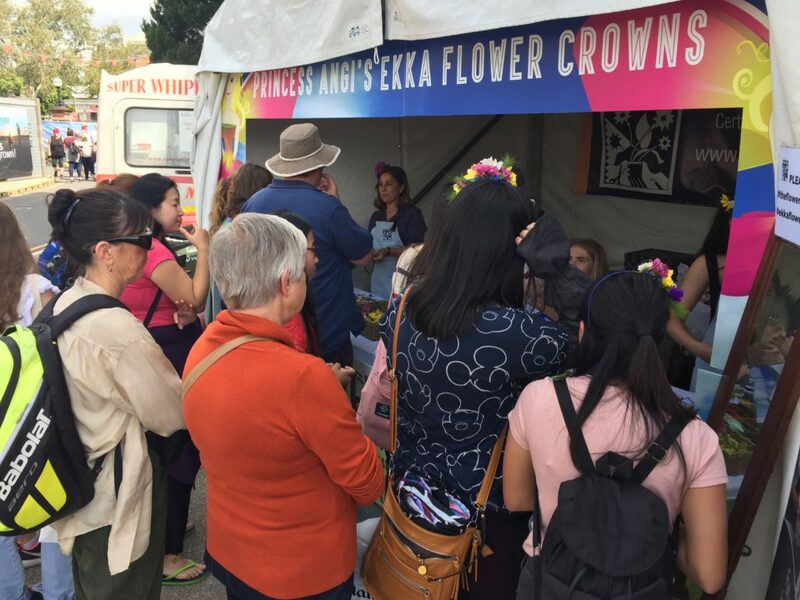 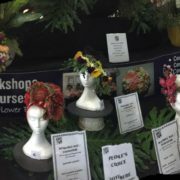 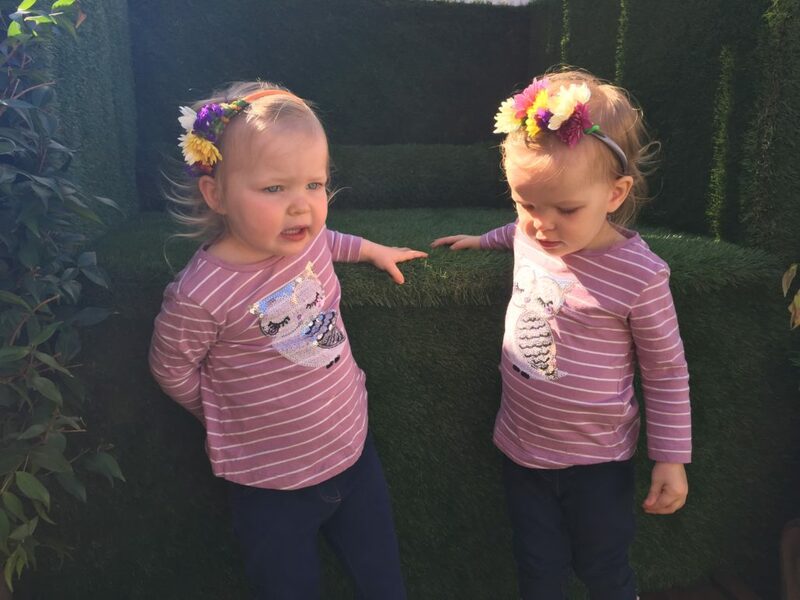 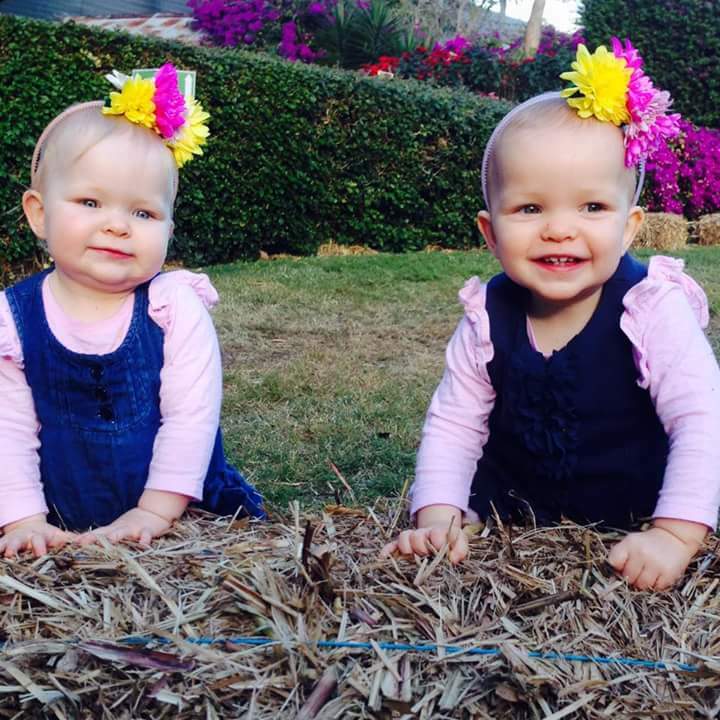 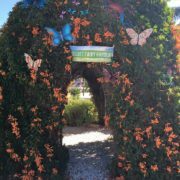 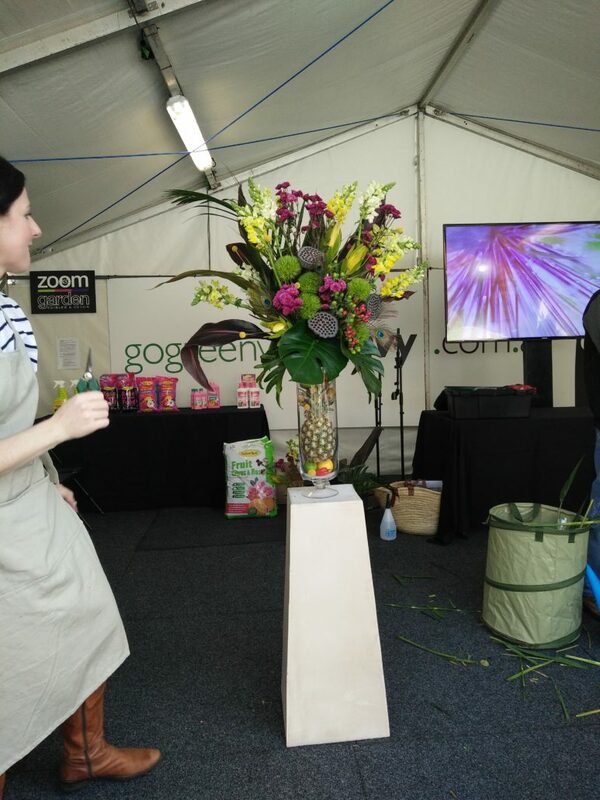 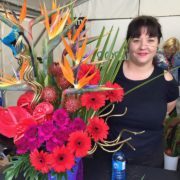 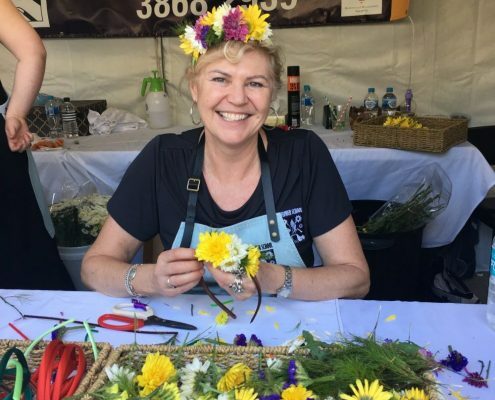 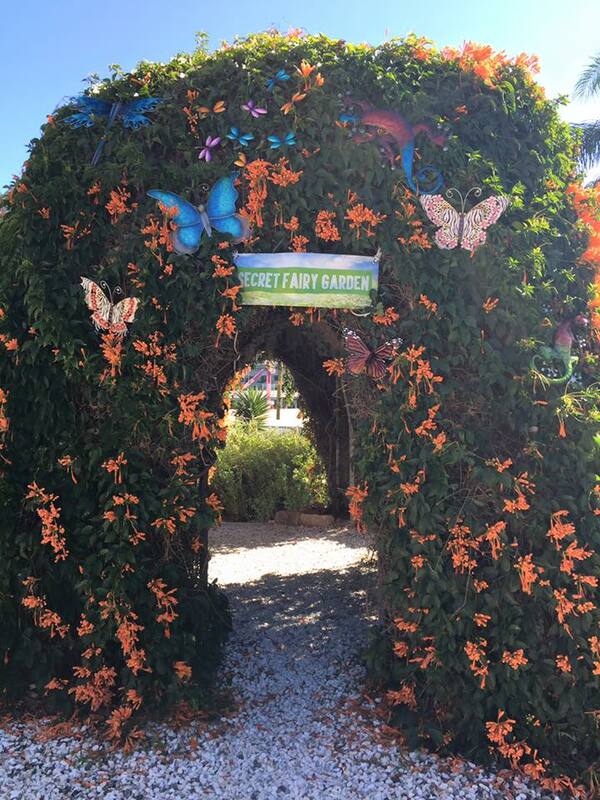 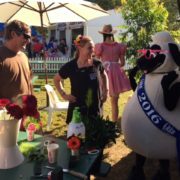 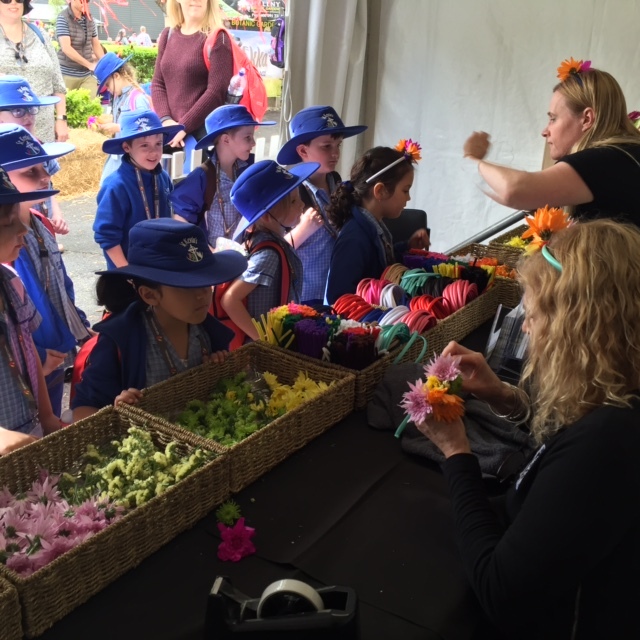 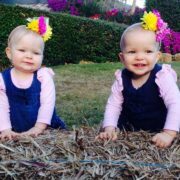 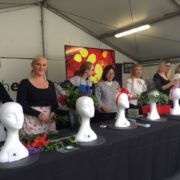 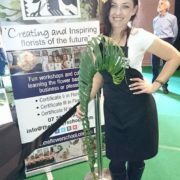 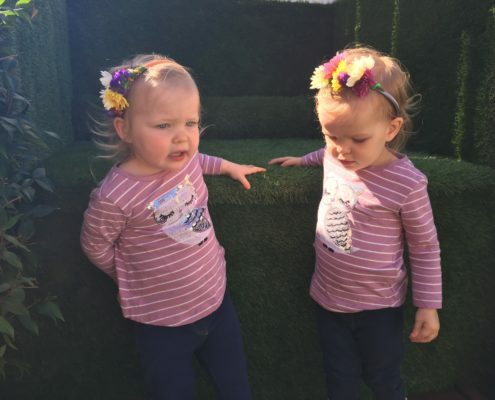 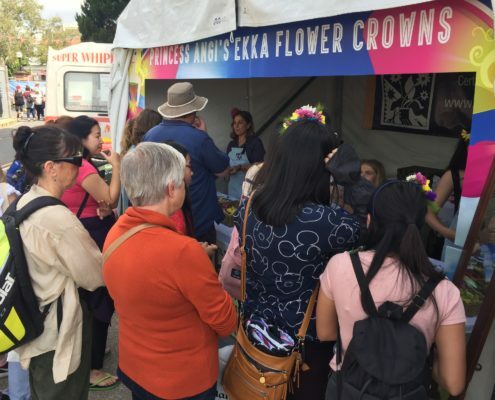 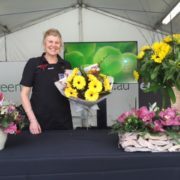 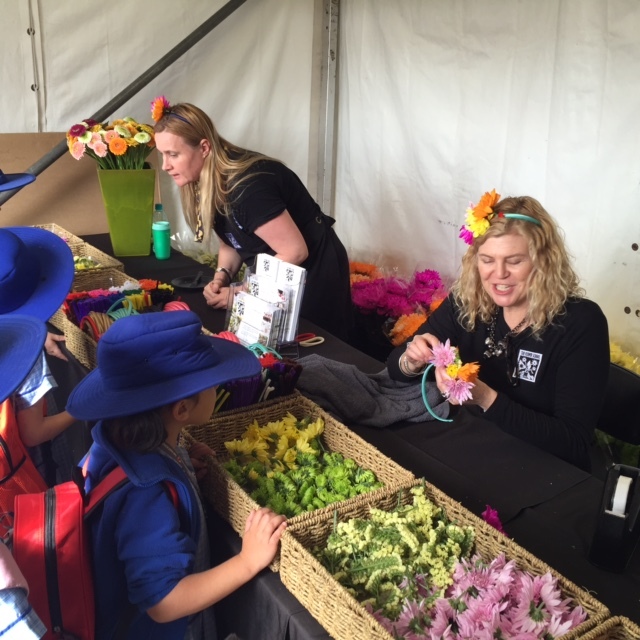 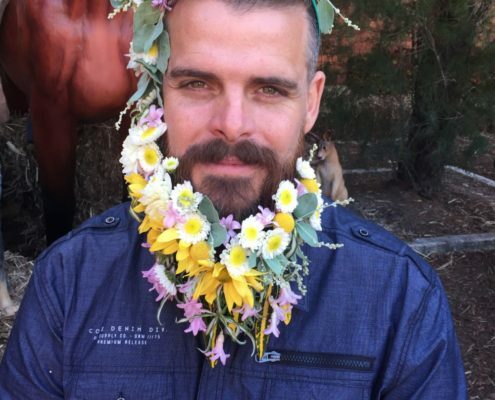 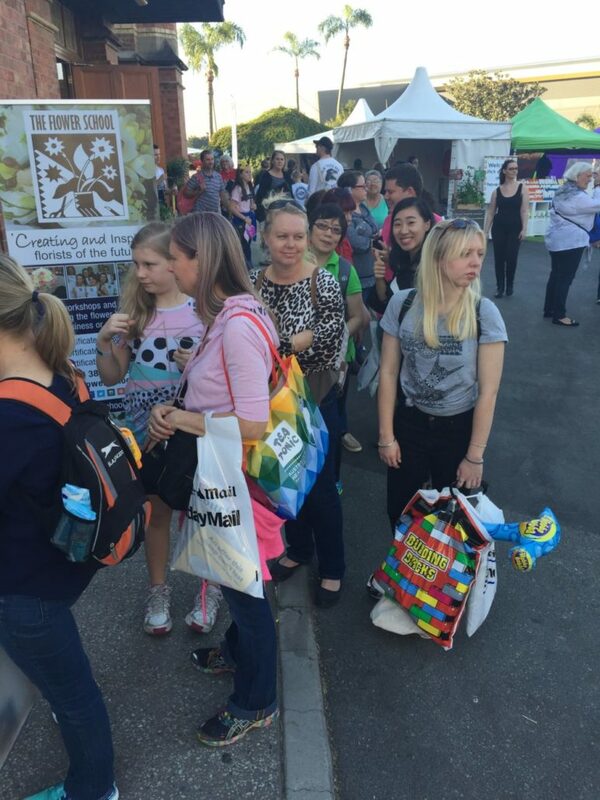 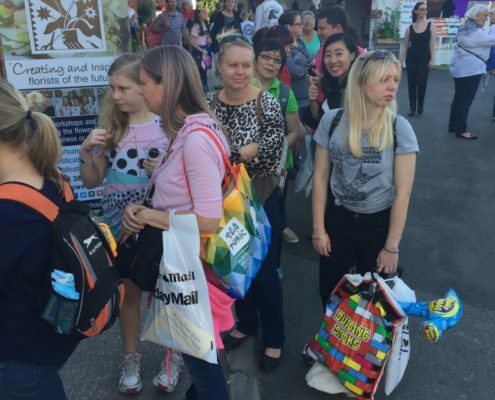 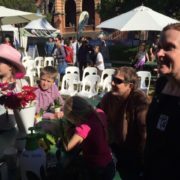 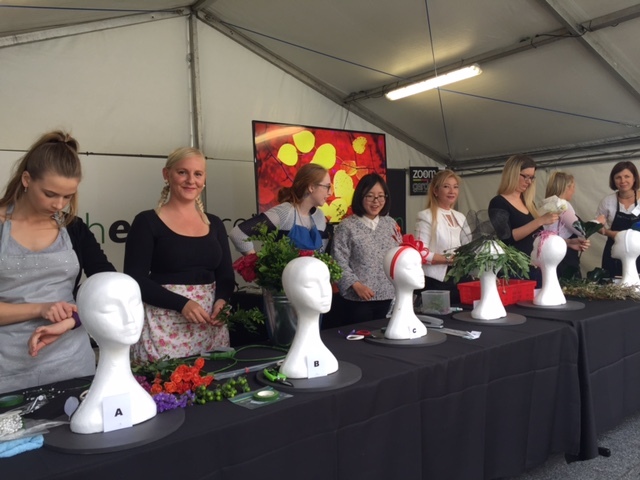 Beautiful displays, competitions, workshops, flower crowns, industry education on flowers and plants grown in Queensland was viewed by all attending. 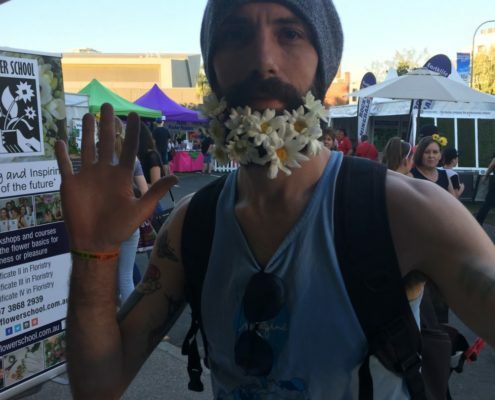 Much enjoyment and laughter was had this year organising a beard competition. 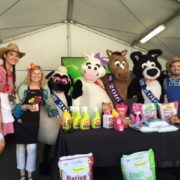 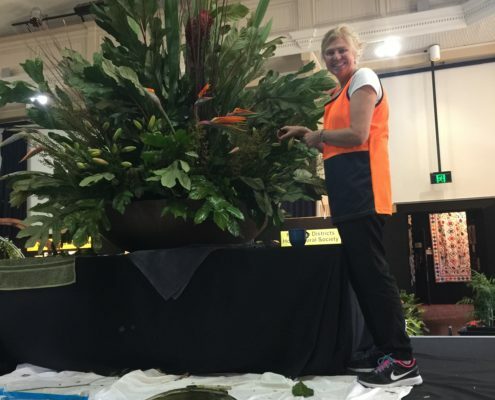 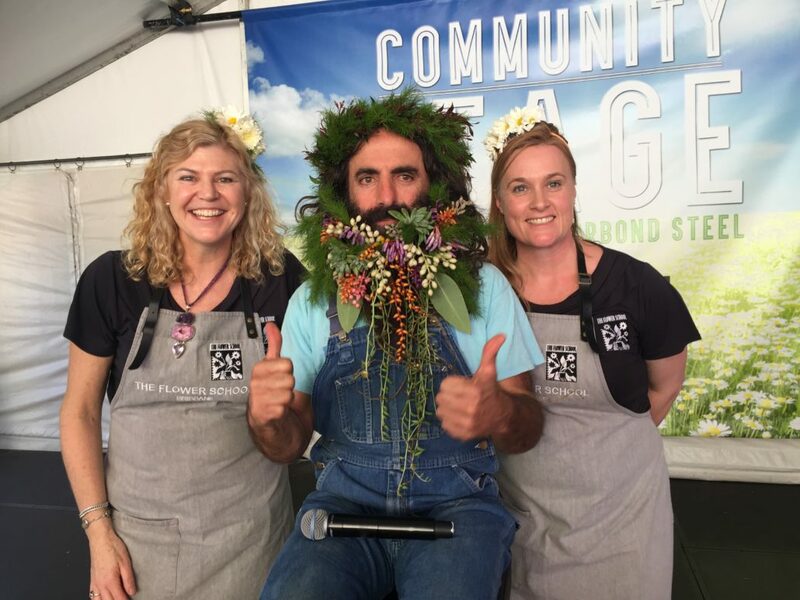 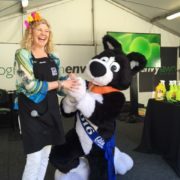 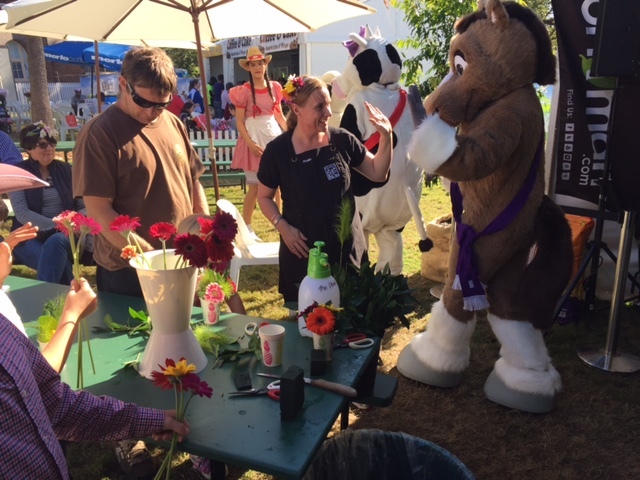 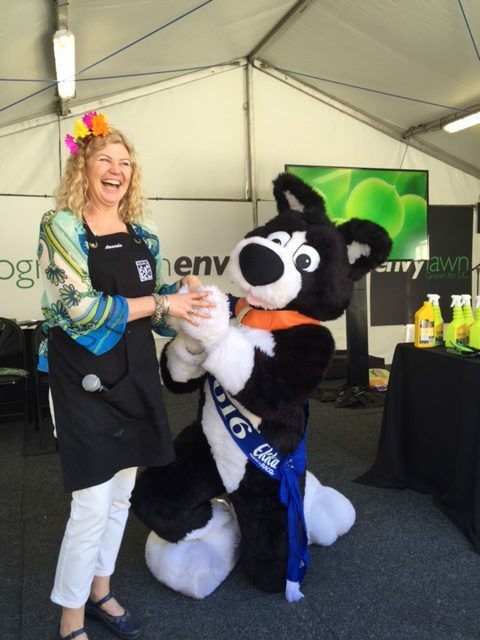 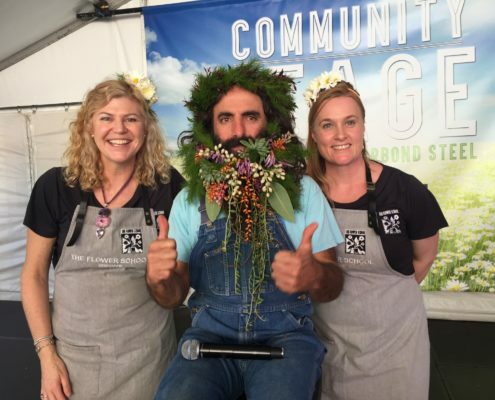 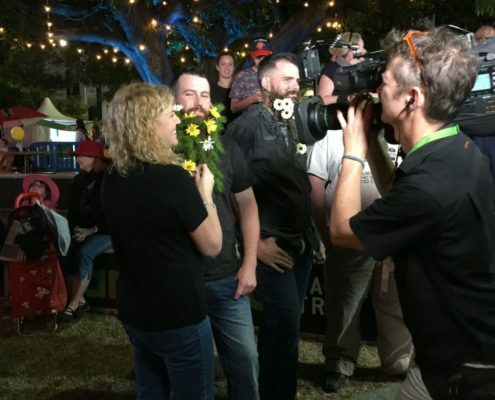 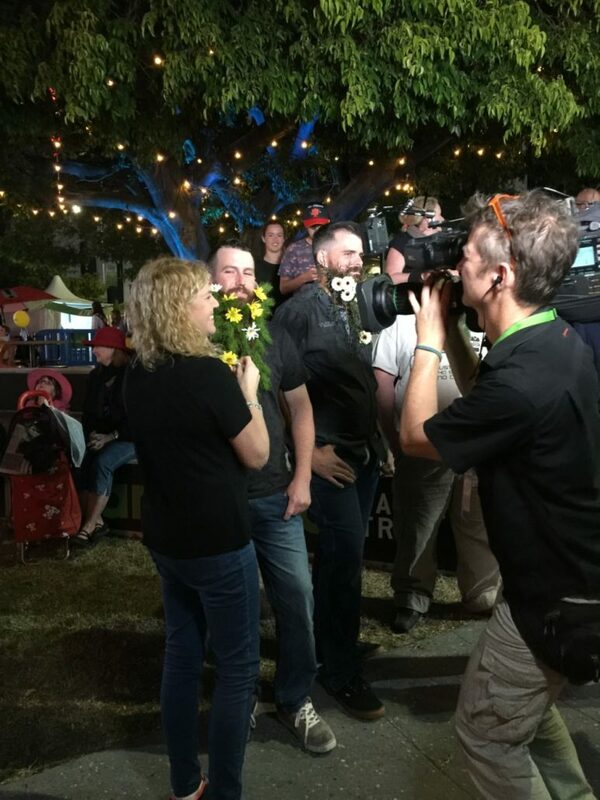 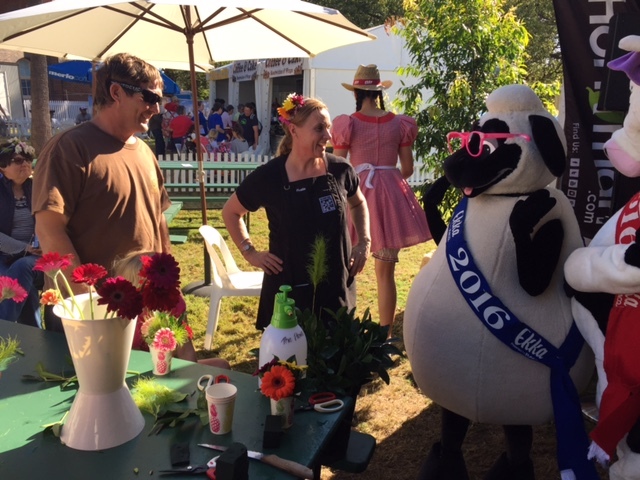 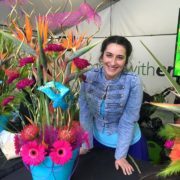 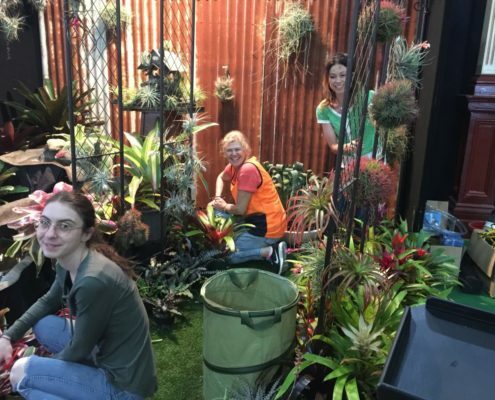 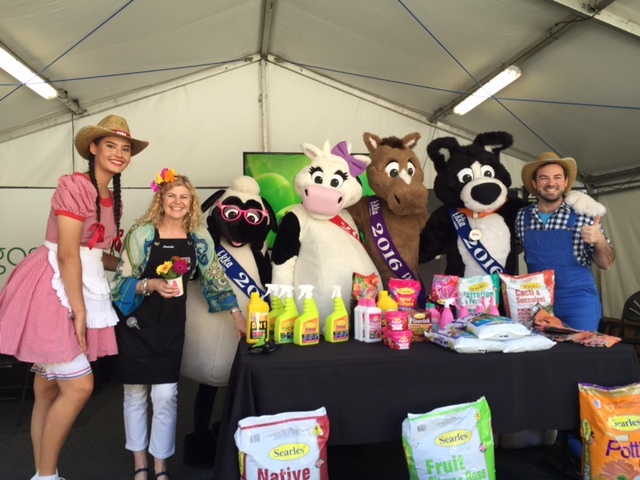 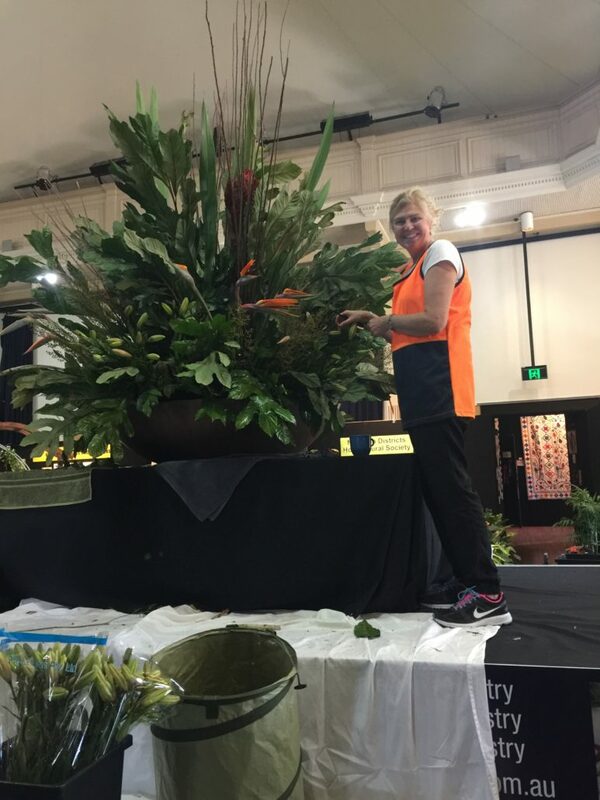 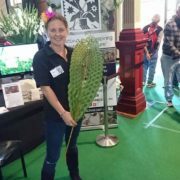 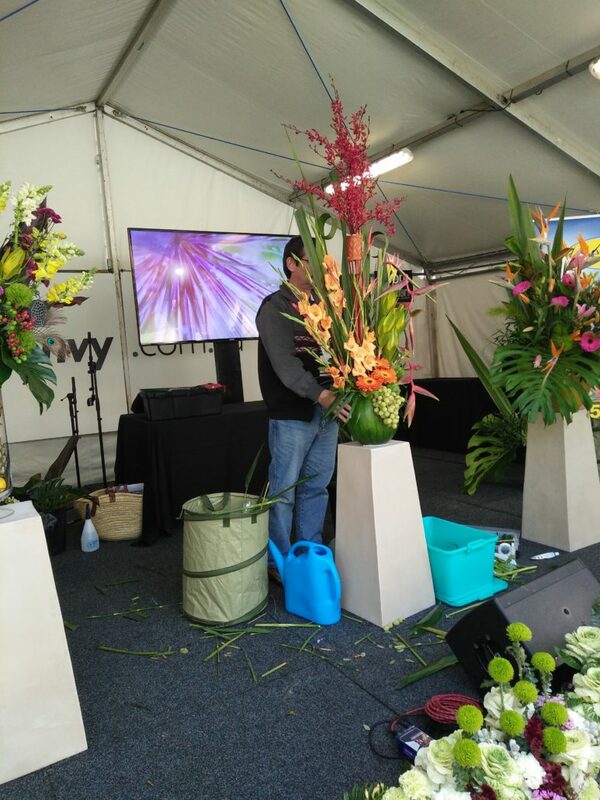 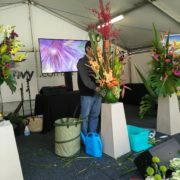 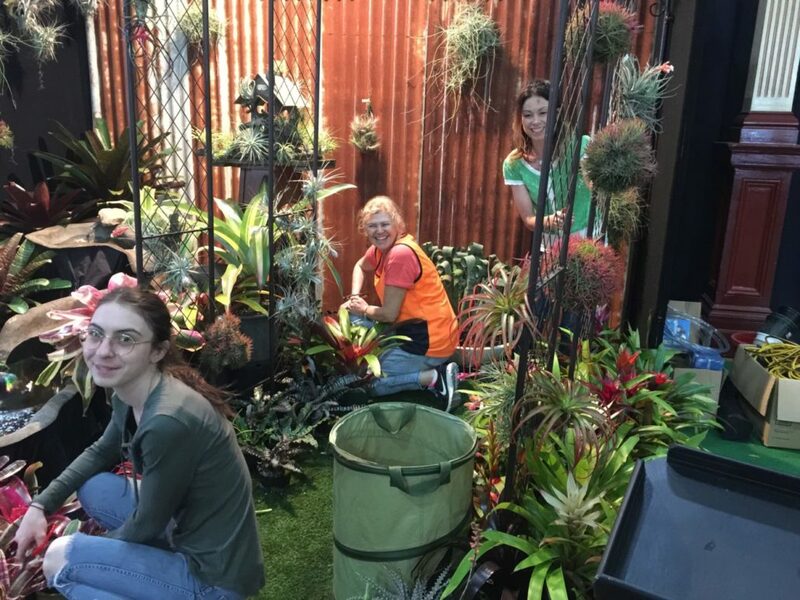 Photos below of Director of The Flower School, Amanda Meads and Tutor Yvette decorating Australia’s gardening Guru” Costa” on the community stage of Ekka. 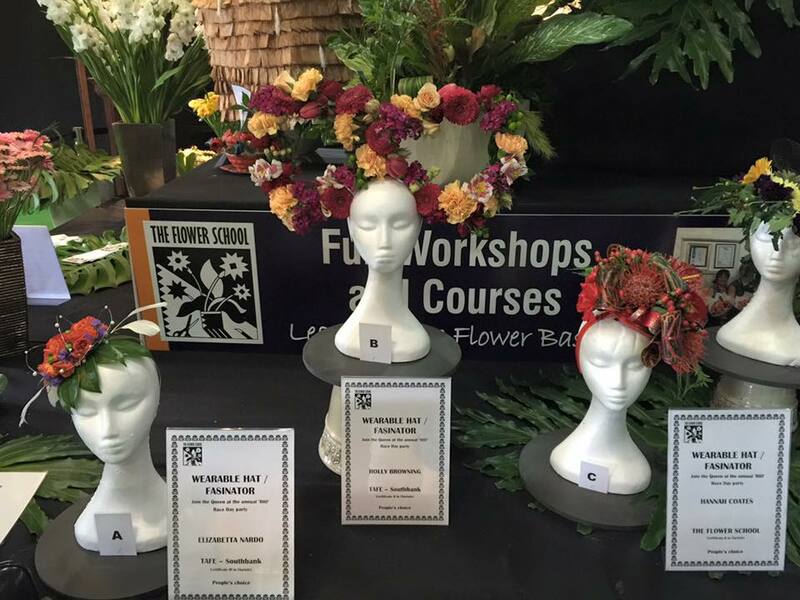 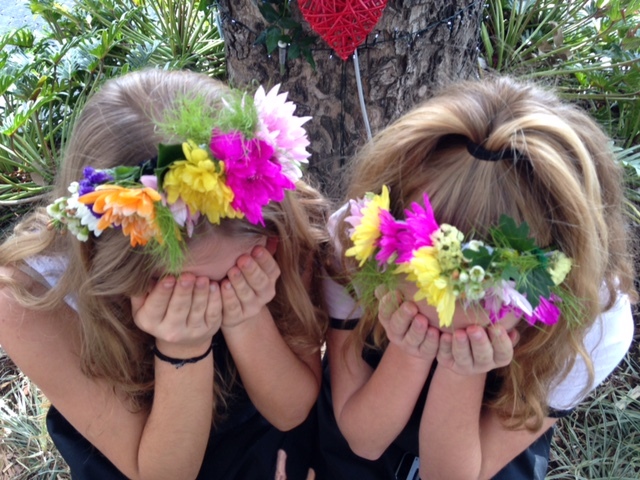 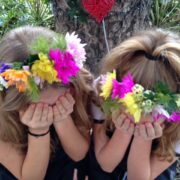 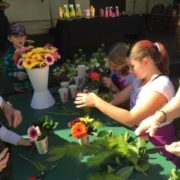 This year The Flower School once again hosted the flower crown activity workshop and we so enjoyed seeing many of you return from last year. 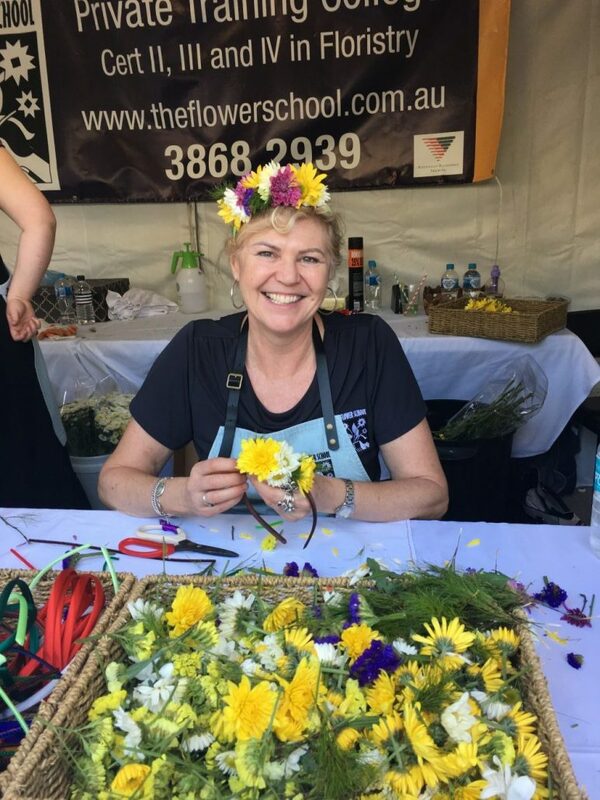 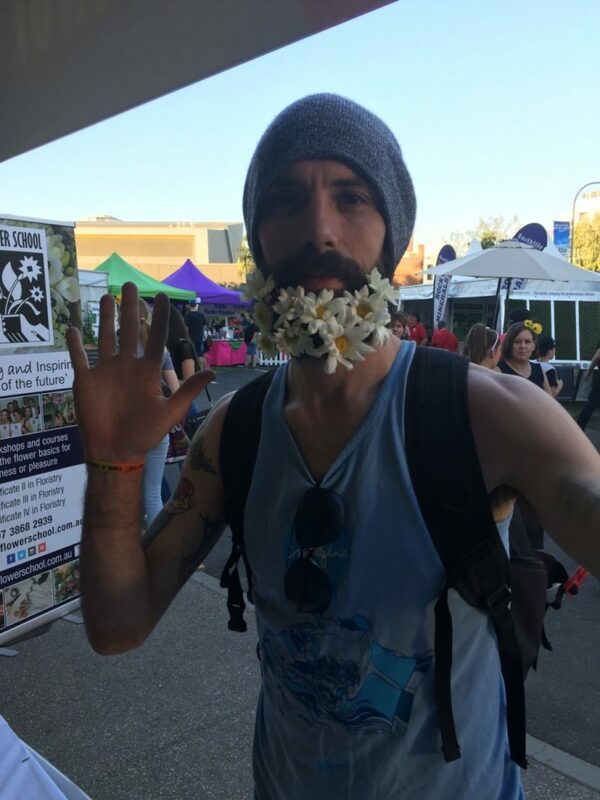 Thank you to all our sponsors and volunteers who helped, laughed and brought your nimble fingers to make over 5000 flower crowns over the 10 days.